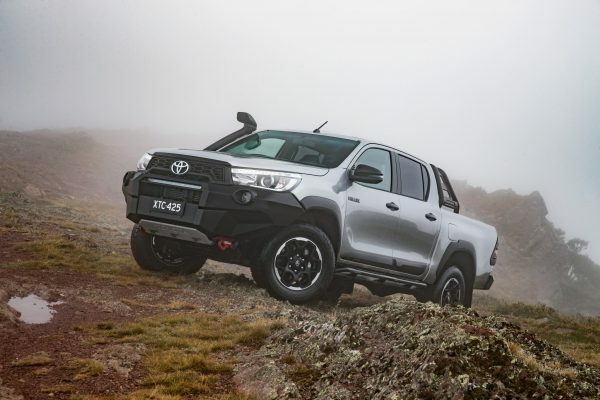 Toyota has given its HiLux a serious dose of style, refinement and rugged off-road prowess with the launch of the new 4×4 double cab Rugged X, Rogue and Rugged models. 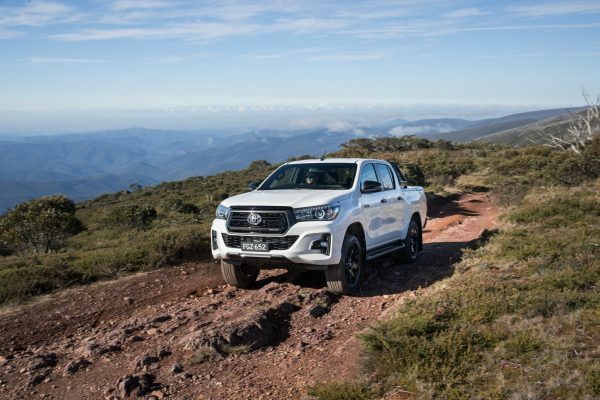 The three new hero models of Australia’s best-selling vehicle have been designed and developed in Australia with support from Toyota Motor Corporation in Japan and Toyota in Thailand. 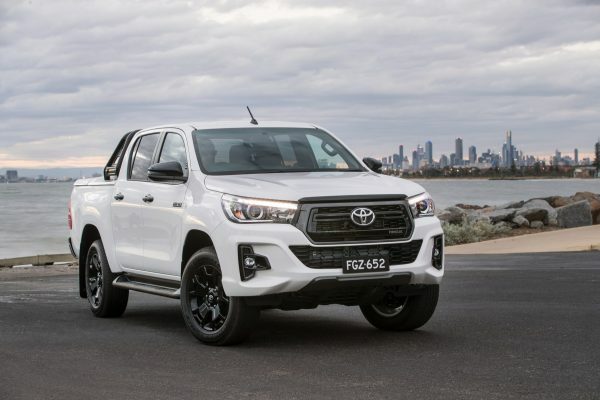 Toyota Australia’s vice president sales and marketing Sean Hanley said the three new halo models have been designed to meet the demands of Australian customers and Australian conditions and build on the “Unbreakable” reputation of HiLux. 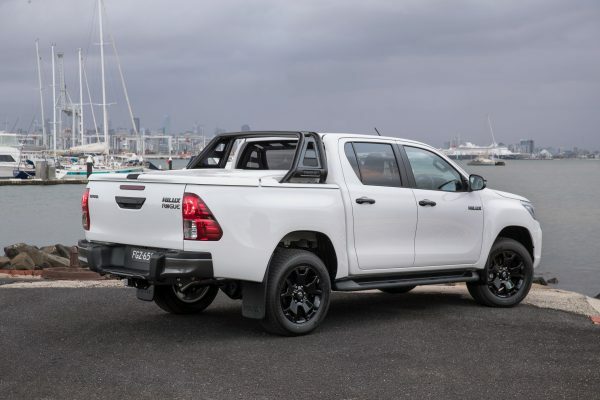 “Designed and developed over a three-year vehicle program, all the new components on these stunning HiLux models are fully integrated and engineered into the core vehicle and covered by the standard factory warranty. 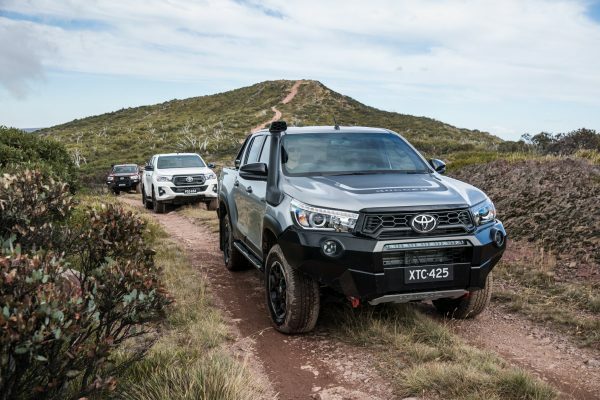 “The Rugged X, Rogue and Rugged are not accessorised special editions, they are fully fledged new HiLux models that our customers demanded and we can be justifiably proud that they were designed and developed here in Australia,” he said. 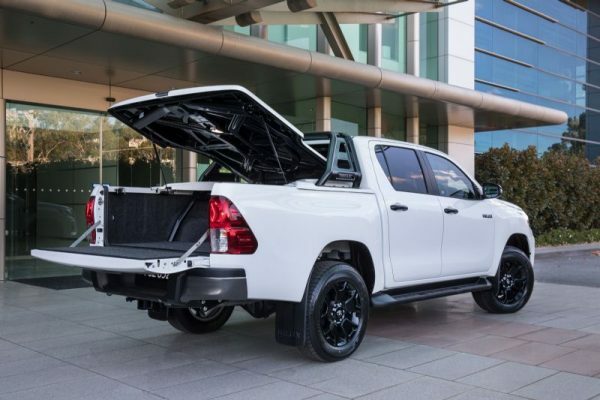 “These three new HiLux heroes give customers a bold new choice in the market whether they are looking for a stylish and refined top-end ute for work and play or need enhanced protection, functionality and recovery capability for serious off-roading,” Mr Hanley said. 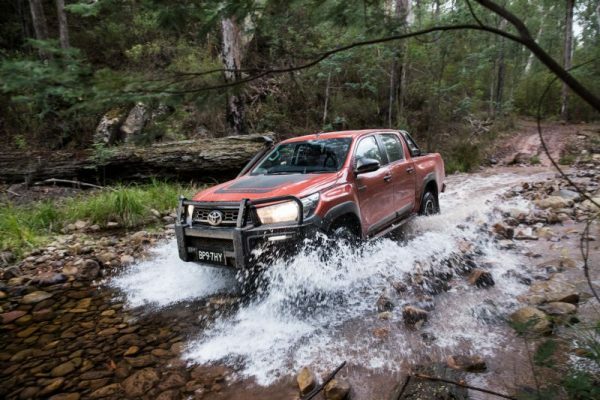 “We know that the average HiLux customer already spends over $2000 on accessories for their vehicles so we looked at what those needs were from both a capability and style perspective and developed a raft of new features for HiLux. The new HiLux Rogue has been designed with a more urban adventurer customer in mind and features redesigned front and rear ends that reflect Toyota’s global truck design DNA. The new more vertical front end and outboard driving lights give the vehicle a strong assertive appearance that is complemented by clean lines and a neat rear bumper – all with a contemporary black and grey colour palette. Driving through a part-time, shift-on-the-fly 4×4 system with a full set of low-range ratios, the engine generates maximum power of 130kW and 450Nm of torque with the optional six-speed automatic transmission or 420Nm when mated to the six-speed manual gearbox. 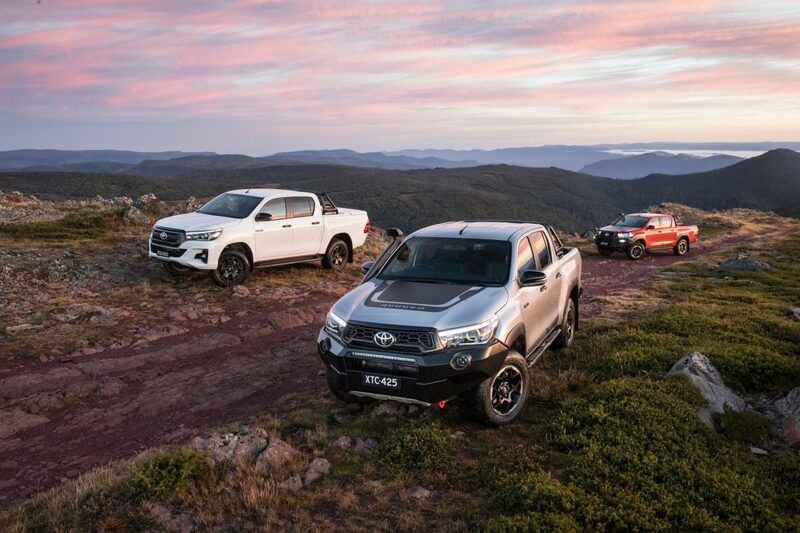 Toyota’s three new 4×4 HiLux models take Australia’s best-selling vehicle in 2017 to a whole new level of strength and style. With the Rugged X and Rugged set to satisfy those who hanker for serious off-road adventure and the Rogue complementing its double-cab practicality with a refined sense of urban style, all three new HiLux models feature an extensive array of exterior and interior design and equipment enhancements. 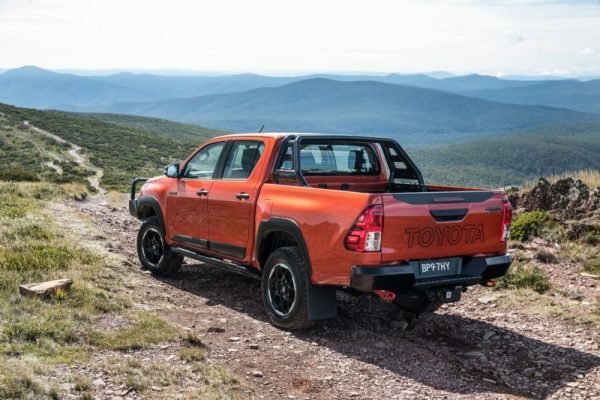 The new Toyota HiLux Rugged X takes the ute’s “Unbreakable” strength and reputation for off-road prowess to a new level with a host of off-road protection, recovery and functional features and a bold new style to match. 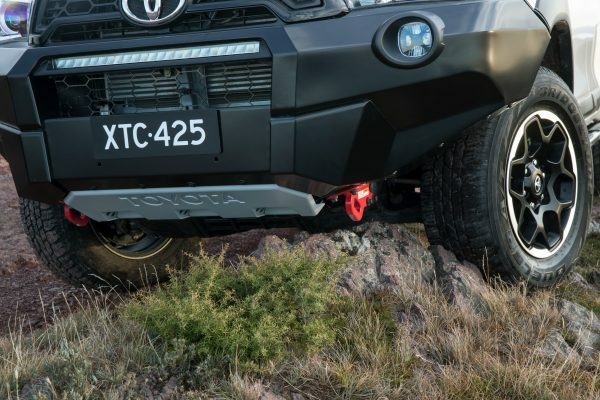 All the new features of the Rugged X were developed locally by Toyota’s Melbourne-based engineering and design teams specifically for Australia’s harsh off-road environment with support from Toyota in Japan and Thailand. 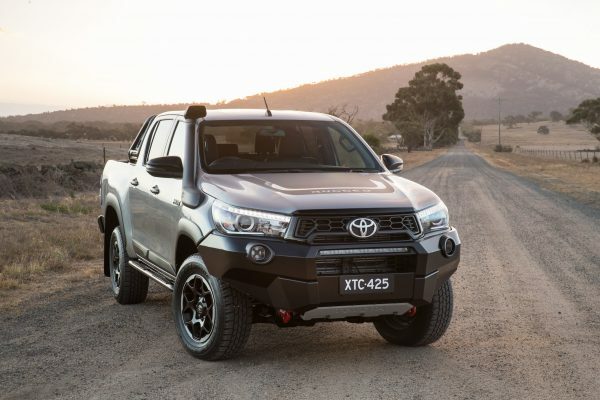 Toyota Australia’s product planning and development general manager, Rod Ferguson said the Rugged X was undeniably aimed at customers with an appetite for off-road adventure. “There is no doubt about the appeal of the dramatic visual style of the new Rugged X, but it’s far more than a styling exercise,” Mr Ferguson said. Based on the popular HiLux SR5 4×4 double-cab, the Rugged X shares its mechanical specifications with that vehicle including its 2.8-litre turbo-diesel engine. Offering plenty of performance, the engine generates a maximum power of 130kW and 450Nm with the optional six-speed automatic transmission or 420Nm when mated to the six-speed manual gearbox. In order to provide outstanding night vision, the new steel front bar features a centrally mounted 66cm LED light bar – the first time such equipment has been fitted as original equipment in the segment – and two spread-beam outboard LED driving lights. Further body protection and design appeal in the HiLux Rugged X is provided by the black wheelarch and body side mouldings with the former accommodating newly developed 17″ alloy wheels fitted with high profile 265/65 R17 tyres. The HiLux Rugged X also features a newly-designed Combi Meter instrument cluster incorporating speedometer, tacho and 4.2″ multi-information display that features a dark dial plate with orange needles and white illumination. 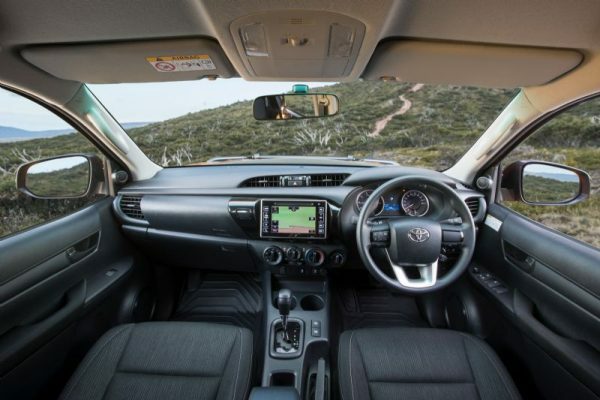 The vehicle’s premium infotainment system functions are displayed on a large 7″ display and include full Satellite Navigation^, AM/FM and DAB Radio^^, a single slot CD player, USB/AUX# and Bluetooth® connectivity##, voice recognition and the Toyota Link° app suite that is compatible with a range of iPhone and Android smartphones. 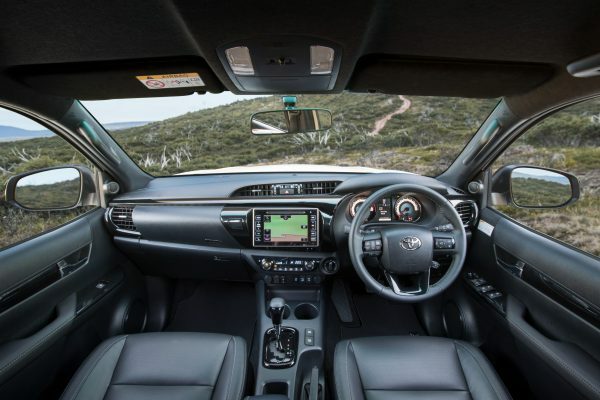 Toyota Australia’s product planning and development general manager Rod Ferguson said Rogue was the perfect expression of a vehicle designed for adventurous weekends away while being equally at home for the weekday commute into the city. 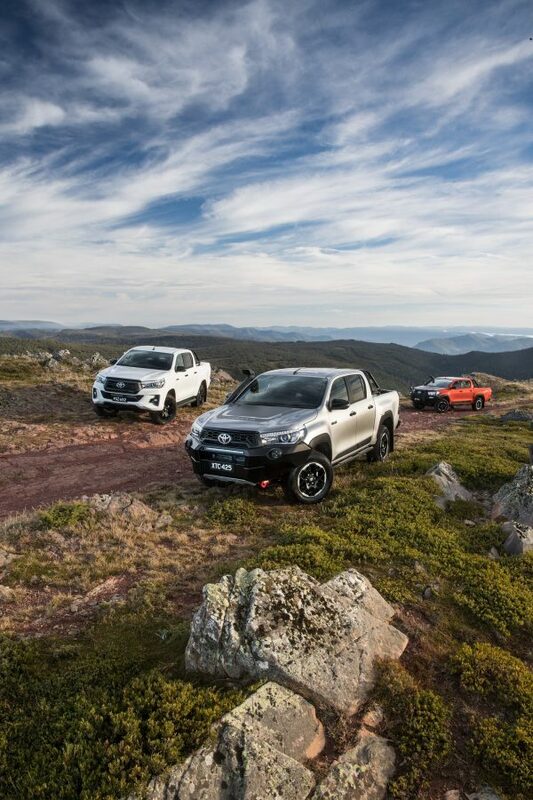 “Whether it’s the snow, a waterski weekend or a bit of high country mountain biking, the Rogue maintains all the HiLux 4×4 credentials to get you there and back,” Mr Ferguson said. HiLux Rogue is based on the HiLux SR5 4×4 double-cab model and is powered by a strong 130kW/450Nm 2.8-litre turbo-diesel engine mated to a six-speed automatic transmission. Over the course of a three-year development process for the Rogue, the local Toyota designers settled on a strong bold theme that reflects Toyota’s global truck DNA. The functional sports bar adds far more than visual appeal and is securely floor-mounted into the Rogue’s tub and can support a vertical load of 75kg or secure up to 200kg on the tub floor via multiple tie-down points. The Rogue features a redesigned instrument cluster with the Combi Meter – speedometer, tacho and 4.2″ multi-information display – comprising a dark dial plate with orange needles and white illumination. 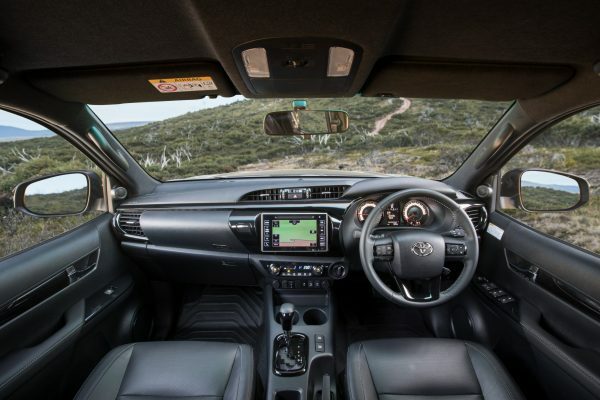 The premium infotainment system that displays on a large 7″ display includes full Satellite Navigation^, AM/FM and DAB Radio^^, a single slot CD player, USB/AUX# and Bluetooth® connectivity##, voice recognition and the Toyota Link° app suite that is compatible with a range of iPhone and Android smartphones. By combining the full functionality of a traditional bullbar with enhanced protection and recovery features, the Rugged is the perfect 4×4 workhorse or go-anywhere weekend warrior. 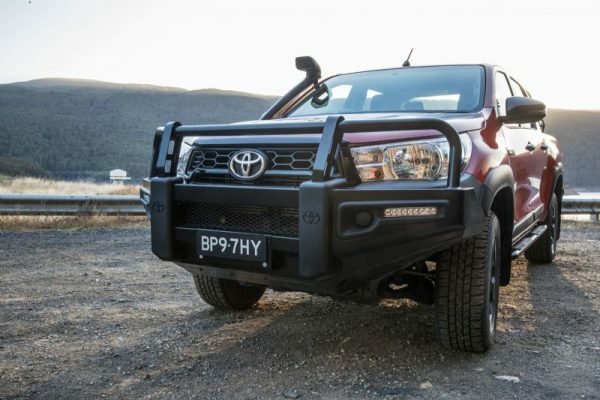 Like its new Rugged X stablemate, all the new features for Rugged were designed and engineered by Toyota Australia’s product planning and development division to suit harsh country and outback conditions. 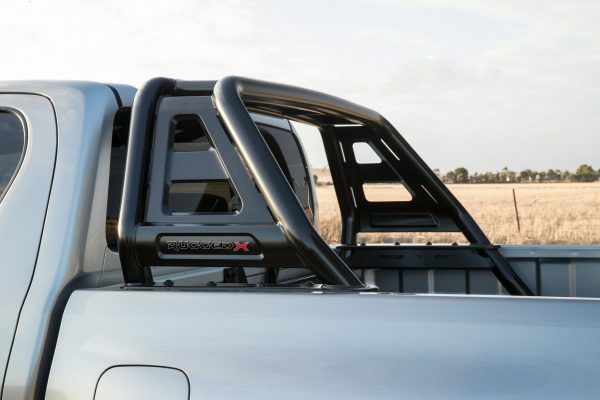 “Rugged X offers a traditional bullbar for customers who do a lot of country driving while offering new locally developed off-road protection, recovery and functional features,” Mr Ferguson said. 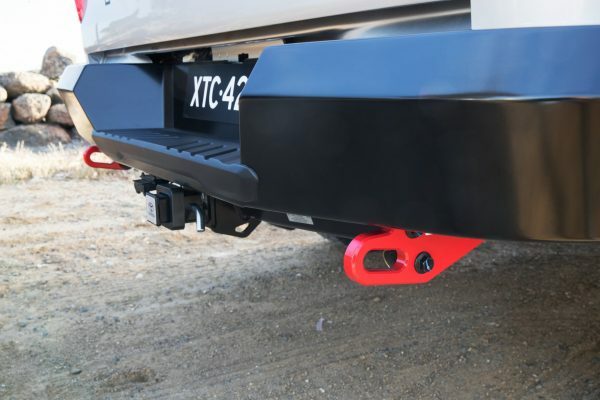 At the front, the ute’s aggressive styling is dominated by a premium proven steel bullbar that integrates with the Hilux front end and provides full compatibility with all the vehicle’s safety systems.